Floor polishing, including costs for concrete floor polishing range between $900 to $12,000. 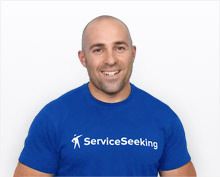 See below for real ServiceSeeking.com.au reported balustrading job examples, including projects costs for concrete floor polishing per square metre. Vlad’s comments: Good access. can park within a few metres of the job area. The left side will be used as a driveway and I have removed the cement so it is a dirt base. We would also like a spot in the middle to lay some fake grass (only needs to be about 30-40mm deep). Car use. 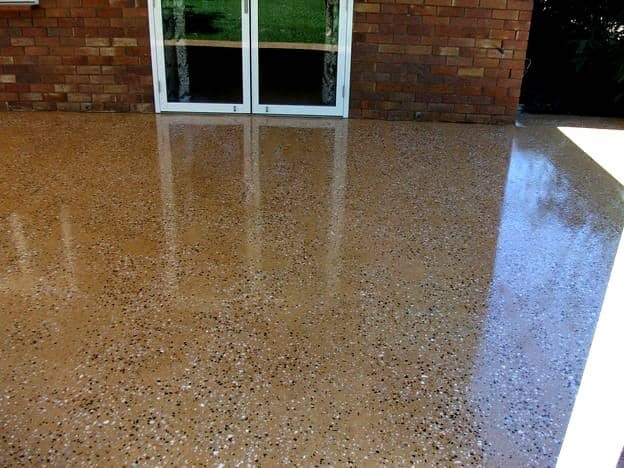 If you can only do the concreting or the polishing, then please provide a quote for your service. I own an apartment in East Brisbane, which is up 2 flights of stairs. I’m looking to have the original slab (1970s) polished. Is there anyway you can get the equipment up the stairs without having to crane gear over the handrail? Leonard’s comments: Home office/rumpus and bathroom/laundry. Samantha’s comments: Require existing concrete slab polished in ground floor apartment. LG Building’s comments: I am looking for a POLISHED CONCRETE contractor for a restaurant near Ryde, for approx 600m2 of polished of an existing concrete slab. Please send through your email address and i can send you information and give you a call back. Lachlan’s comments: Its a childcare Centre. Golden Bay Polished concrete alfreso on a house to be completed around August 2015. Approx 55sqm, may need additional to do other areas if price competitive….